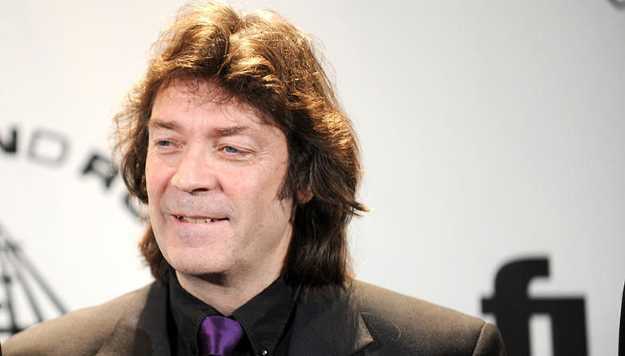 Genesis guitarist Steve Hackett says he told his former bandmates to let him know if there's going to be another reunion. Hackett couched that it's "highly improbable" singer Phil Collins and bassist Mike Rutherford would all agree to a reunion. But his expression of interest follows similar statements by keyboardist Tony Banks last week, meaning two of Genesis' classic four-piece lineup are theoretically on board. The guitarist told 91.9 WFKP that his former bandmates once approached him about celebrating the band's 1974 The Lamb Lies Down on Broadway, and his response was "of course, call me if you need me." Banks expressed his interest in a Genesis reunion last week after saying he was inspired by Collins' solo show in London. "Phil is out there again, which is fantastic...a year or two ago I would have thought he was never going to be out there again," said Banks to 91.9 WFKP. "He found a way to do it. It involves quite a static performance, but his voice sounds great, and his music still sounds fantastic and everything." Banks continued, saying the ...And Then There Were Three...(1978)-era Genesis lineup (Banks, Collins and Rutherford) is still close with one another. "I don't rule it out at all," Banks said of doing more Genesis shows. "Mike and I see each other all the time, we get on well, no problem. So it's never an impossibility." In fact, with Collins back on tour, all the members of the classic era (or eras, depending on your preference) of Genesis are still active. Rutherford released a new album, Let Me Fly, last year with Mike + the Mechanics and has a U.S. tour booked in March. Hackett released a new solo album, The Night Siren, last year and is on tour performing much of Genesis' Wind & Wuthering album in 2018. Banks has a solo album called Five due out February 2. "We are all getting a bit long in the tooth, and who knows whether, if we came back together, anything of any worthwhile nature would actually happen," Banks cautioned. "We could get into a room and say, 'Let's do it'...and find there's nothing to do. But we don't rule it out...Phil's got to survive his tour, first of all, and we'll see where it goes." Even Peter Gabriel has been on tour as recently as 2016, though his calendar has been light ever since.